Autumn is packed with sport! We're delighted to be featured in the GO SPORT 2014 autumn special catalogue. 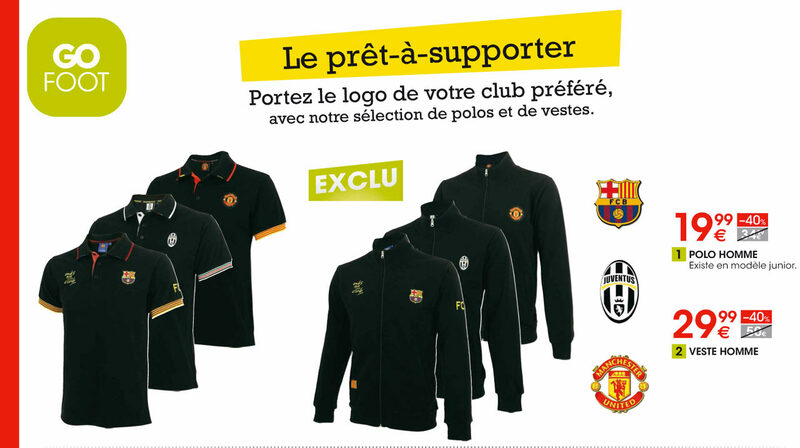 Check out our licensed FC Barcelona, Manchester United and Juventus FC polo shirts and jackets. Holiprom is back from its annual closure with a brand-new website! As well as general information about us and the presentation of our licenses, you'll find our new sections "Clients" and "Bespoke services".